Young agents want change. They want more diversity in the agency sales ranks. They want better paths to grow in their careers. They want other agents to adhere to professional standards and ethics. They want faster and better technology in their agencies and in the insurance companies they use. Most of all, today’s young agents want to see more young professionals like themselves in the independent agency system. 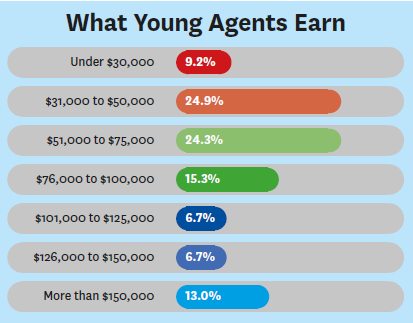 That’s according to Insurance Journal’s 2018 Young Agents Survey, which asks young agents for their opinions on the industry, their agencies and their career as an independent agent. “I would like to see the younger generation get more interested and involved in the industry,” said one young agent participating in the survey. Young agents responding to the survey said they would like to see younger professionals in leadership roles, too. “While it is not an issue at the agency that I work for, I do see some hesitance with carriers and agencies in promoting younger, hungry individuals,” one young agent wrote in the survey. Other agents agreed saying that more young leaders are needed throughout the industry. 38.0% are 30 and under. 6.7% wouldn’t recommend being an agent. 7.8% have more than 15 years. 63.0% have completed or are working on an insurance designation. 63.2% have an insurance agent mentor. 61.1% work in family-owned agencies. 24.2% are members of the family that own the agency. 34.3% don’t believe it will happen. 63.4% attend local business or community meetings. 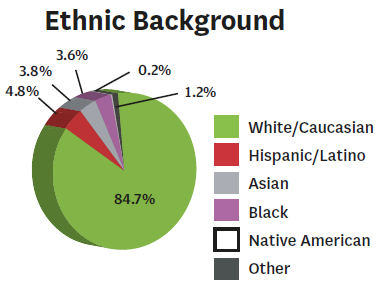 65.3% volunteer in my community. 15.9% get involved in local politics. 59.6% utilize insurance coverage or other checklists. 69.2% take insurance courses on the internet. Other survey respondents added that in some instances, younger generations are unfairly stereotyped. Young agents also maintain a desire for better and more efficient technology that will make their job easier. They believe that the insurance industry falls behind when it comes to its use of technology. “I would like to see more focus on technology, as the industry is very poor at moving in the right direction when it comes to that,” one agent wrote. Young agents are split on how they rate the property/casualty industry’s use of technology overall. 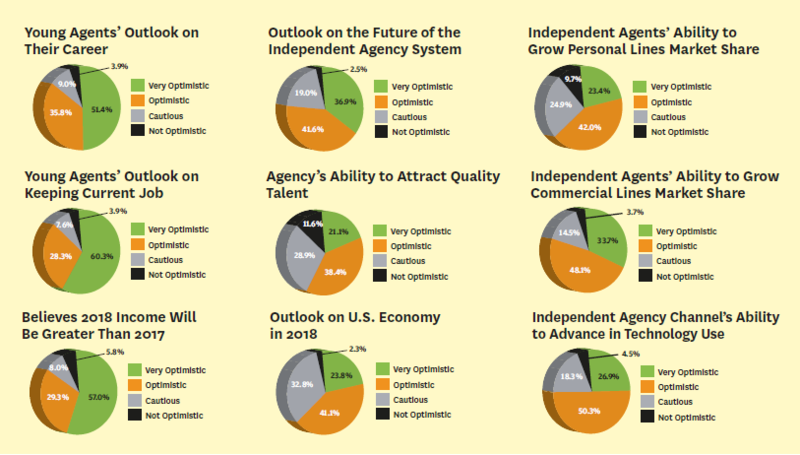 The exclusive survey revealed that slightly more than half of respondents (51.1 percent) rate the industry as “excellent” or “good” in terms of its use of technology while nearly the same number of young agents (48.9 percent) rated the P/C industry as “fair” or “poor” in this critical area. However, according to the survey, when it comes to career attractiveness to younger professionals, the results weren’t quite as evenly balanced. According to the IJ survey, only 8.3 percent of young agents rate the P/C industry as “excellent” when it comes to attractiveness for young people. However, a whopping 68.1 percent rated the industry as “fair” or “poor” in this critical area. 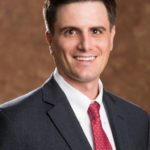 Ryan Thomson, executive vice president and an agency owner for the Louisiana-based Thomson Smith & Leach Insurance Group, agreed with the survey’s findings stating that industry’s slow-pace in advancing technology is one thing that frustrates him about the insurance business. Since then, Thomas, 37, says it’s been a great ride as the agency has grown from a small six-person shop in 2003 to a strong mid-sized agency employing nearly 50 people. Now, Thomson says there’s not much he doesn’t love about the insurance world, except its technology. Thomson says his agency has three employees just to check for errors when a policy is issued, especially through surplus lines markets. “In south Louisiana, we have to deal a lot with [wholesale] brokers. … That’s probably most of my frustration, more than the direct bill, Progressive, types,” he said. Thomson believes technology hurdles reflect the industry’s slow-to-change mindset. “Technology is something we have to embrace, as an industry,” he said. “We can’t stick our head in the sand; we just can’t. It’s amazing still today [the number of] policies we issue in somebody else’s system that have errors.” He believes some of those errors could be overcome with better technology aimed at improving communication among agencies, carriers and wholesale partners. While critical of the overall industry, young agents have a different view of their own agency’s use of technology. According to the Young Agents Survey, 73.8 percent of young agents rate their agency as “excellent” or “good” in terms of technology use. 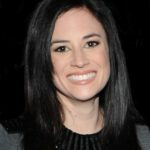 Thirty-two-year-old Laura Locke Baskind, JD, who serves as the director of agency operations at Dallas-based Independent Insurance Group Inc. (IIG), says her agency’s commitment to technology and its quickness to adapt has been beneficial not only in efficiency but also in attracting talent. “The ownership of our agency has been wonderful in terms of bringing in young talent, foreseeing the need for younger talent, [and] creating an environment that’s very adaptive and open to technology,” she said. “I now have an in-house IT manager, and we are doing our own coding, and building out our own management services, own agency app, so that we can automate things on our own to make sure that we’re the most efficient that we can be,” she said. The agency went through a complete overhaul of its agency management software last year. She knows IIG is not alone in this tech-forward agency mindset. Other agencies are taking great strides to push forward technology that enables agencies to be more competitive, serve customers better, and attract new employees. “I think that that is how we will attract top talent, and the younger generation,” she said. Like Thomson, Locke Baskind grew up in her father’s agency but took a different path before joining the insurance world. She went to law school and practiced at a large, international law firm before joining the agency. She also worked for Uber Technologies. 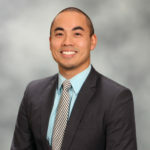 Danric Jaime, an associate in Lockton’s San Francisco office, agrees that while the industry has been “pretty slow” to adapt new technologies over the past 10 years, there are some agencies such as Lockton pushing forward. That has helped Jaime, age 35, find his niche in the agency channel. Jaime, while not a sales producer, has been involved on the tech-side of sales by helping Lockton producers solve technology issues in the employee benefits sector. He doesn’t sell policies to consumers, but instead sells a Lockton-sponsored employee benefits app to Lockton producers and their customers. If Jaime were to give advice to other young people considering a career in the independent agency channel he would tell them there are many areas young professionals could consider in the agency world, not just sales. Thus, they need to be more inquisitive. Despite the many opportunities in the agency world and insurance overall, many young professionals still shy away from it as a career to enter, but after they do, they end up staying. Flexibility, freedom and work/life balance are key benefits that young agents cite every year in IJ’s Young Agent Survey. According to the 2018 survey, a large majority of respondents rate their own agency’s telecommuting, flexibility and work/life balance as either “excellent” (39.5 percent) or “good” (29.6 percent). Dreams of becoming a business owner is partly why Locke Baskind joined her father’s agency, but that’s not the only reason, she said. The demanding work schedule she faced working as an attorney in a global law firm helped her understand what makes a career as an independent agent a good choice. “The work/life balance that insurance provides, the ability to make more money, to have more control over the money that I can make, and the ability to know that my weekends, my holidays and my vacations … to know that this is a place, and an industry, that values your personal time was very appealing for me,” she said. Other young agents cite the challenge that insurance delivers as a reason they like being an insurance agent. 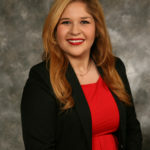 What 23-year old Adriana Solomon, associate account manager with global client services at Lockton, likes the most about her job is how dynamic her day-to-day job duties are. “No day is the same, no client’s the same, so it’s constantly challenging and really encourages me to grow,” she said. The graying of the current agency workforce is another reason young professionals should consider insurance, says TJ Simmons, a producer at Shield Insurance Agency based in Hudsonville, Mich.
A third-generation insurance agent, Simmons decided to accept a position at his father’s agency while still in his junior year at college. 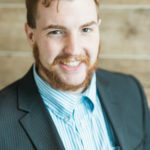 Now, at 20 years old, this young professional says insurance is “not a bad gig at all.” There is plenty of money to be made and he’s ready for the challenge. He says other young people looking for a career should take note. “Sometimes the industry doesn’t do a good job at attracting young people because it seems boring, but I think that young people need to realize that it’s a young game.” The aging of the industry is opening huge opportunities ahead for young agents. Great and revealing article. It’s high time for agent/broker compensation to change from the fragile and unhealthy commission system that does well for insurers and Agencies who garner the lion’s share of the premium/commission leaving the producing agent with a mere pittance. Such a system is inherently flaw designed and should be changed to assure a greater degree of professionalism and lessen the risk of insured injury caused by the potential and often real hunger of the producer. Mike congratulations you sound like all the millennials, with or without a college degree you would like a salary of 100,000 just for showing up and you may or may not even produce anything for 6 mons. Yes the agency garner the most commission because the also garner all the agency expenses, you have none. I you really want to be bold Mike, buy an E&O policy get a DBA walk out the door and start you own agency then you can have 100% of the commission. But first you’ll have to go to Liberty, Travelers, and Hartford and tell them you are a great young man please give me an appointment. I am very amazed. Look at the income, longevity, family history, approach to change, desire to advance. It is very telling. I appreciate that young professionals are finding independent insurance businesses a valuable resource for making a comfortable family living. Interesting to learn that US market has opportunities for enterents for young new comers to insurance. Basics of knowledge is key. It starts with technical accounting know how to progress. I stated at age 20. 43 years later I now teach insurance and reinsurance and check in gaps in reinsurance protection to protect insurers balance sheet and reserving practices. Look at systems and system enhancements to enhance swifter sales with real time policy issuances and premuum bookings and claims transactions. Insurance is an interesting career. Pateince will pay big money and once in insurance always in insurance. I love the industry, never a dull moment.A Munich Re African Markets retiree now consulting and offering training serveses to the largest African Insurer/Assured.